For those not involved in amateur radio, many of the terms I use many seen foreign. I have received a few comments from puzzled readers of The 6th Floor. Sometimes I forget this “language” we speak in the world of ham radio is not widely known. Starting Friday afternoon at 5pm PDT the World Wide WPX Contest sponsored by CQ Magazine kicked off. 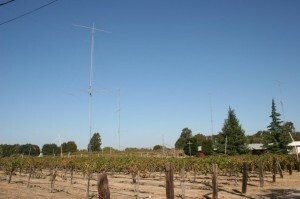 Each contest is a different mode, this week it was the SSB (single side band or voice) contest. If you read my news on Thursday, WPX SSB Goals I was hoping to put in a 10 hour effort and possibly see 200-300 QSOs. In every contest you must decide if you operate low (100 watts or less) or high power (greater than 100 watts) and if you want to work all the available bands or one band. The three previous years I had operated high power, all bands. This year I decided to change that up (which I shouldn’t have done in hindsight) and working low power on 20 Meter band (14 MHz). I spent the better part of 2.5 hours and only worked 50 stations and pulled the plug on my operation. I knew better than and consulted my father, N6SV before making the decision. Instead of spending the better part of Saturday, sitting frustrated in front of my radio I decided to head to N6RO about 2 miles down the road. I had e-mailed Dean Straw, N6BV and asked if I could sit, listen and learn. When I arrived I met Juan, W6NOW, Masa, K1GI, Dean, N6BV, Steve, K6AW and I believe Bob, K3EST. Our host, Ken, N6RO came out to the shack a few hours later. I plugged in with Juan on 40M, but the band was very slow, as it was daylight. I decided to plug in with Dean a about 60 minutes later, who was working 15 Meters (21 MHz) and working Europe at a good rate. Dean asked if I wanted to operate 15 Meters and I hopped in the chair and started calling CQ NR6O, which was the unique club call sign we were using. The WPX contest is a great contest to work, since each new prefix you work is a multiplier, which adds to your score. So in this contest you can work everyone on all 6 bands potentially. When I took over, I was nervous, since this was only the second time I had worked at N6RO. I settled into a modest rhythm, but after listening in with Dean and some of the call signs he was pulling out of the noise I was somewhat frustrated I was not able to accomplish the same. It was still a great experience knowing I had some big antennas putting out a very clean and strong signal across the world. Some of the new countries I worked were Dodecanse (J45), Namibia (V5A) and Kenya (5YA). Unfortunately none of these were using my personal call sign of W6ONV, so I cannot claim any of them in my log book. I had a few short runs where I made multiple contacts in a short period of time. I probably put in 2 hours on 15 Meters and Dean took control of the station before the JA’s (Japan) came on the air at which time Masa sat down. I then took a short break and spent another 90 minutes, maybe 2 hours working 40 Meters. Again, it was very quiet and maybe had 10 contacts in that 2 hour time period, but it’s something that needs to be done in order to maximize points for the station. There were times Bob, who was working 10 Meters would move or send a station to 40 Meters if that operator had not contacted us on that band. All in all it was a great contest weekend. I was thankfully to be part of the NR6O operation. I might have to start spending more time with that group and learning the ins and outs of operating from their shack. Unfortunately time isn’t something I usually have much of, so being able to commit 48 hours (as is the duration of this contest) or even 12 hours is not always possible. Still being able to relieve an operator even for a few hours is a blessing, especially if you plan on operating all 48 hours. Not sure what the rest of the year will bring. I do have N6RO to visit, as well as W6ZJH in Pittsburg for some of the shorter duration contests. On Tuesday I stopped off at Radio Shack on the off chance they would have a TV antenna rotator. As luck would have it, they had some in stock. After consulting the hex beam Yahoo Group, I was told this rotator would turn my hex beam. While it might not be a long term solution, I figured $79.99 was a good price, compared to the $200 (or more) I am going to spend to refurbish the Hy-Gain Ham M I received from my dad last year. I was able to pull off the make shift mast I created along with 3 guy wires to turn the antenna in the needed direction. While I am still not happy with the mast I am using, for now it will work. The upper section of the mast is about 5′ long, so I secured the rotator to this section of the mast and then bolted on the hex beam to the rotator. Once it was together I slid the small mast onto the longer mast and aligned the hex beam to north. 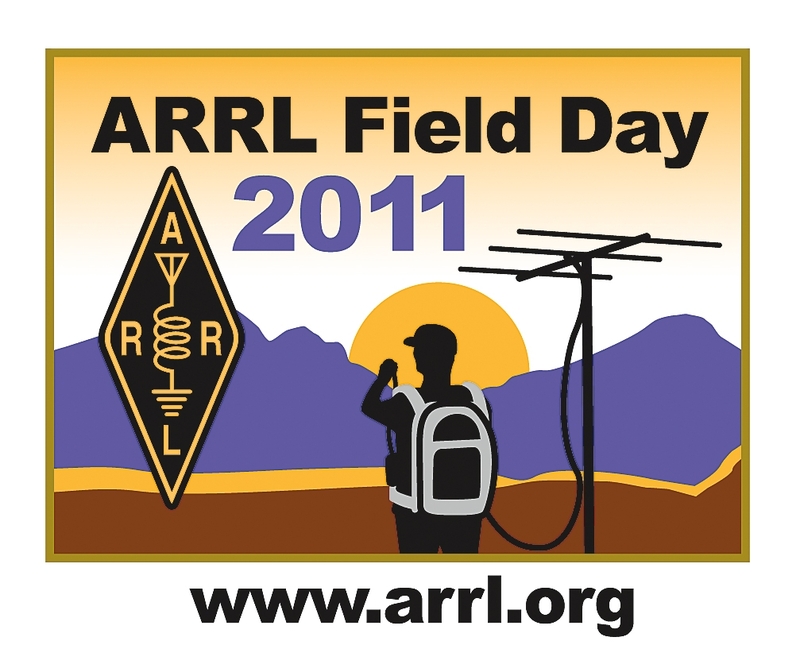 It seems there are a handful of groups from the Northern California Contest Club that are setting up Field Day stations. Unfortunately none that I have heard are close to my house. I was hoping N6RO would put in a solar effort, but I have not read anything about Ken and his usual group doing anything for this event. Not a big loss for me, as I must work both Saturday and Sunday making my operating time only about 2-3 hours beginning at 22z on Saturday. With band conditions being poor currently I could not justify taking time off to participate in a “non-contest contest” when there are more events on the horizon I would rather participate in. I want to pass along my thanks to Hank, W6SX up in Mammoth Lakes for his assistance yesterday in working with me to resolve my “chirp” issue. Hank gave me a call and we met on 4 bands yesterday (80M-15M) in order for him to listen to my problem. All worked out well as we started on 40M and then moved to 80M. Both of these tests were run with 100 watts. Upon moving to the higher bands I had to start the Alpha 76PA in order for Hank to hear me through the noise. Unfortunately 20M caused some RFI in the shack that knocked out my Internet gateway and USB functions and digital interface until. So I had to restart the PC and turn the input power down on the FT-1000MP in order to get about 500 watts out and not cause RFI. We moved to 15M, which had been my problem band as reported by NK7U and W7POE (via an OO Advisory Notice). After sending a string of ‘VVV DE’ for about 45 seconds Hank could not distinguish any sort of chirp and commented that my signal sounded clean. I suspect it could be an intermittent issue because my CW signal sounded different yesterday than it did during the 7QP (InQP & NEQP) when the problem was reported to me. This also makes me reflect back to last year when Iain, N6ML e-mailed regarding my signal as seen on CW Skimmer and the “chirp” could be seen. Interesting, but I didn’t put much into at that time. I did find out, thanks to the brain trust on the NCCC Reflector and at the FT-1000MP Yahoo Group that I do in fact have an internal AC power supply. I do recall opening the FT-1000MP up and toggling the switches to convert the radio to 12VDC when I bought it from Ken, N6RO. From what I have learned on the Yahoo Group is that any 120VAC power code, like that for a personal computer should work. With any luck I will have an extra one in my wire pile and be able run the Ft-1000MP off the AC power supply and hopefully rid myself of the chirp. Recently a discussion on the NCCC Reflector was from Ken, N6RO “going green” and installing a massive solar system to help power his super-station. Considering he seemingly hosts operators on a regular basis and the price of energy continues to escalate. He posted all the details of construction and the system as well as usage projected usage stats and price compared to when the system will start feeding power back to the PG&E power grid here in Northern California. 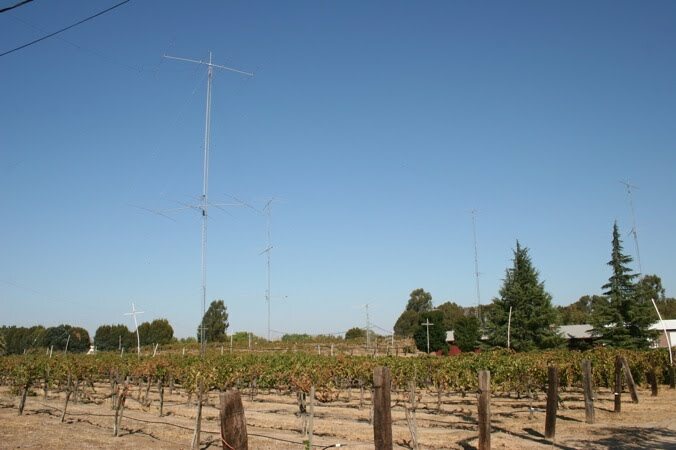 I was on QRZ.com and stumbled upon a post by Russ, KD0EIA and the need “for HAMS to get their stations powered by alternative energy.” I completely agree with his assessment. One of my arguments when I went before the HOA was the “first responder” fact. Unfortunately if something happens and power goes out, I too will be without communication since I do not have a generator or any other alternative source to power my station. Thankfully I can use the FT-857D in my truck in a pinch, but solar is probably the way to go. Unfortunately one of the sticking points for me right now, the price point. While I don’t need a massive solar array or enough power to generate electricity to the entire house, but I would like to start out by providing enough solar power to keep my station running (with or without the linear amplifier). Russ provides a link to his information on his QRZ profile, which is a good starting point. Previous my interest was sparked by a post from Scott, N3FJP on the N3FJP Yahoo Group, author of the logging software. He dedicated some bandwidth to his solar projects including a hot air collector, hot water project, space heating and solar electricity. It’s interesting to do some worksheets and figure out the cost versus return. Some sites that have been recommended: Backwoods Solar Electric Systems, Sun Electrics and Home Power Magazine. It will still take a bit of investigation and consideration before making any sort of investment. Some would argue a solar system might not be viable for ham radio. Others recommend a generator as “backup power.” Since I am not planning on powering my entire house a portable generator with a few cans of gasoline might be the way to go. Solar, even on a small scale that I am considering will probably be more than I want to invest.